Earlier this year, FCA has filed a petition with the U.S. International Trade Commission against Mahindra & Mahindra, hoping to put a stop on the import of the Indian SUV maker's new product for the US, the Mahindra Roxor. Fiat Chrysler claims that the Roxor violates many of the Jeep brand's signature design features, like the boxy design with flat side profiles and a rear section height which matches that of the front. The carmaker said in its complaint that the Roxor was a near identical copy of the iconic Jeep design and was modelled after the original Willy's MB. However, after three months of a legal fight over violation of intellectual property rights (IPR), the US Trade Commission has taken a decision in favour of Mahindra and Mahindra. The investigative staff has barred FCA from pursuing the investigation further. The official statement mentions, "The Commission Investigative Staff believes that Mahindra & Mahindra and Mahindra Automotive North America, Inc. met their burden of establishing that FCA US LLC is contractually barred from enforcing its intellectual property rights against Mahindra's importation of the accused vehicle." Further, it adds, "FCA is contractually barred from pursuing this investigation if Mahindra's vehicles contain or use the approved grille design. 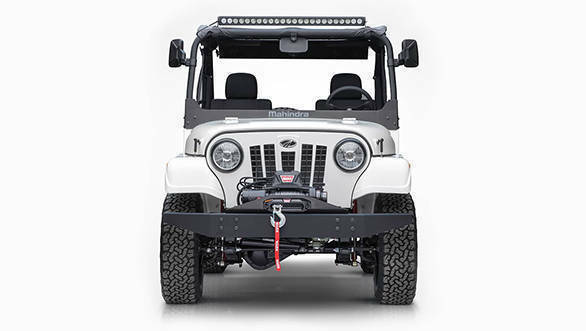 The evidence shows that Mahindra's Roxor uses the approved grille design. Thus, the record supports a finding that Mahindra met its burden of proving by a preponderance of the evidence that FCA is contractually barred from pursuing this Investigation." Mahindra had already responded by saying that these accusations were baseless. The two companies have a long-standing licensing agreement which dates back to the 1940s. This had been signed with Willys originally. Mahindra had also signed another agreement FCA's predecessor, Chrysler LLC in 2009. The Mahindra Roxor is only for the US markets and is available in two versions, base priced at 15,499 USD (~Rs 10.08 lakh) and LE (Limited edition). There will also be a Dune edition that will be available at a later stage. 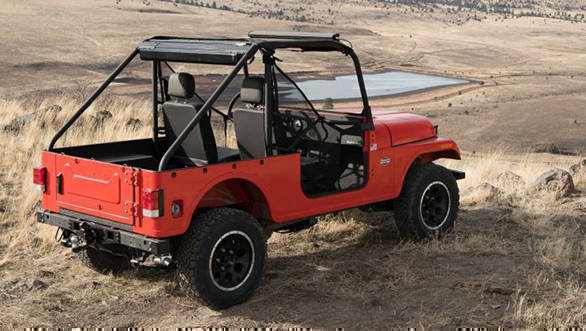 The Mahindra Roxor, similar to the Thar, comes with a steel body built on a boxed steel frame. 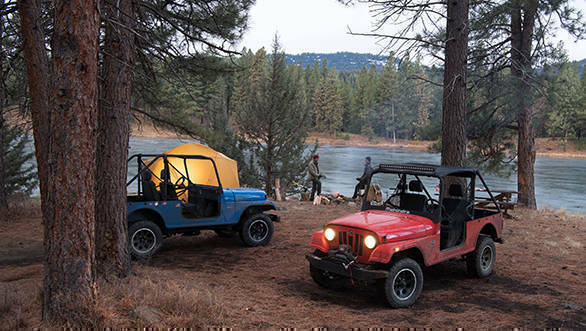 Since the Mahindra Roxor will be spending time only on rough terrains and not on highways, the feature list only consists of hydraulic power steering, single gauge instrumentation, halogen headlights etc. In terms of safety, the Mahindra Roxor comes equipped only with a roll cage while there is no mention of airbags or ABS. Presently, there are four colour options - carbon black, classic white, fire orange and tahoe blue. However, at a later stage, there will be close to 900 colour options that will be offered on the Roxor for an extra premium. Mahindra has not released the official sales numbers of the Roxor side-by-side but it said to have sold more than 4,000 units. The company's Indian facility makes the Roxor and then exports it to the US in the form of CKD kits which is then assembled there. The Mahindra Roxor has been developed by Mahindra Automotive North America (MANA) at its premier facility in Detroit.